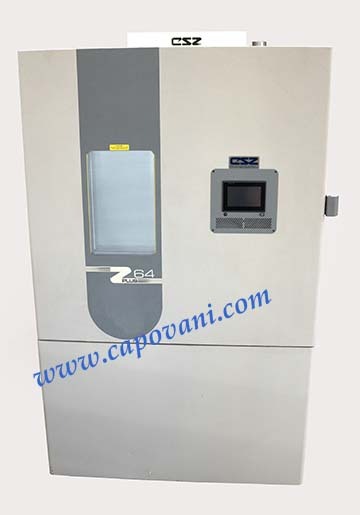 In addition to this Cincinnati Sub-Zero ZPHS-64-15-15-SC/RAC, Capovani Brothers Inc stocks a wide range of used and refurbished temperature and humidity chambers. Typical manufacturers include Blue M, Cincinnati Sub-Zero, Delta Design, Despatch, Espec, Sun Electronics, Tenney, and Thermotron. To view our complete stock of used temperature and humidity chambers visit our Temperature & Humidity Chambers category. Chamber Construction Stainless Steel, Reinforced Floor 1000 lb. Humidity water reservoir is ~10" wide and mounted on the side of unit. This can be removed and relocated. Dimension below account for the reservoir being mounted on the side.